Valerian was finally available for rent on Amazon and my wife and I settled down to watch Luc Besson’s latest flick Valerian and the City of a Thousand Planets. I give it a solid 4 out of 5 stars. The visual effects were out of this world on this film. I have to admit I take one star off, because some of the acting by the main characters were a bit dry (but I think that was intentional), and there were some unnecessary sequences in the film that I found were unnecessary (as they didn’t move the main story over). For example there’s a scene with an alien shapeshifter and alien king (no spoilers here – the entire film has over 1000 planets – and countless alien species in it). It definitely brought back memories of the Fifth Element with its visual effects and was very entertaining. I definitely recommend a view at least once. While everyone was up early this morning trying to get black Friday deals. My wife and I decided to finish some long overdue projects at the house. While I was picking up supplies for a flooring project, I found this little gem on sale. What I like about this multi-tool aside from the price (about $20 on Amazon or Homedepot – where I picked this up), the Gerber Suspension has a lot of things going for it. It has needle-nose pliers (where many multi-tools have block point pliers), both a serrated and straight blade, scissors that are pretty decent, and a variety of other standard multi-tool additions (Phillips head, flat head, woodsaw, etc…). What I like about it the most is the locking mechanism for each tool, which prevent each tool from accidentally closing on you. All the accessory tools aside from the pliers are available on the outside part of the tool (meaning you don’t have to open the Gerber to access them). The cons are that the knife blades and saw blades are pretty small for a multi-tool of this size, the Phillips head is a little flat, and I would have personally preferred that a file would have been included (those things come in handy). This is a take basically against keeping Net Neutrality and I wholly disagree with it. The broadcaster though knows how to make a solid valid argument, but his argument is not sound. He makes a lot of assumptions based on the past and basically builds a historian’s fallacy. Basically, saying because nothing happened in the past, and things improved, the future without net neutrality will essentially be the same. You should always hear both sides of an argument to understand what is true. Learning about the oppositions view will either make your reasoning stronger, or find holes in it. This was super weird when I first read it. 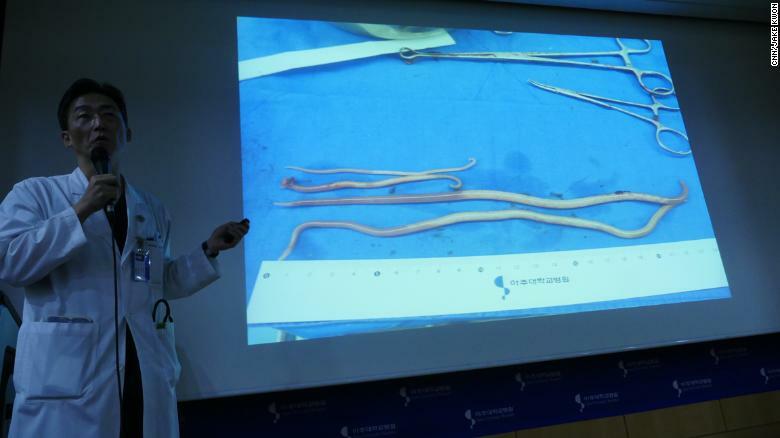 A North Korean soldier dramatically makes it across the border and gets shot multiple times, while doctors treat the soldier, they found HUGE worms inside of his intestines. One of them which typically are only found in dogs. The largest worms were over 10 inches long! Imaging having that living inside of you. You hear stories of malnutrition and disease from 3rd world countries, but actually seeing the parasitic worms taken out of a person makes it a bit real. You can’t really see disease – you can see the effects of disease, but not the disease itself (unless you of course are looking at them microscopically). Seeing those worms really provokes a visceral feeling. My co-worker showed me this video, and I have yet to try it. However I’m going to experiment with it soon! I think moving images are the future of photography. I mean still images will still be around (no pun intended), but the technology for Cinemagraphs, Gifs, and the like are only going to increase. I first found out about this technology 3 or 4 years ago at Photoshop World, and now you can do it with a single photograph. Trust me (well don’t trust me, I’m terrible at predicting things – I thought twitter was a passing fad, but rather believe me?) when I say that the technology is coming for movable images to be viable. I’m talking about flexible e-paper with full color spectrum capabilities and digital displays for billboards and the like. It’s not some weird thing from a sci-fi novel. The technology is here, it’s just too expensive right now, but don’t worry the Law of Anzai – wait long enough and things get cheaper, until they don’t (think antiques). I have to say this is really cool and if I had an extra $200,000.00 lying around I’d probably get a Tesla Roadster! This beast goes 0-60 in 1.9 seconds without making over compensating engine growls. It just zooms. Check out the video below! This is the 2nd generation roadster and it has over double the range of it’s predecessor (the old one only had about a 245 mile range) at 620 miles! Pretty outstanding specs for an electric vehicle! The new all battery Semi Trucks boast a 500 mile range and Tesla plans on producing solar powered “Megachargers” that will charge these trucks up fast – (a 400 mile charge in about 30 minutes!). This is the wave of the future! No more fossil fuels! Now if he could only make these things affordable for us lay men! I stumbled upon this while randomly watching YouTube videos. This is a pretty darn inspirational speech from Charlie Chaplin – the famous comedian from the silent film era. Someone decided to add epic Hans Zimmer music behind this speech and something magical happened! When I feel down I’m going to watch this to get me riled up! I needed a headset for when I work from home and a co-worker recommended the Sades Spirit Wolf Headest. Well to be fair, she recommended this one after I balked at the price of the first one she recommended (which was over $100). The Sades Spirit Wolf Headset was more in my price range (at about $26). It’s clearly a Chinese brand, but from what I read reviews I was confident it was a solid choice. So far after a week of using this thing it works great. Only complaint is the microphone is a bit sensitive (it can pick up my daughter chattering away a couple rooms down), but other than that sound quality is excellent (I mean it’s definitely not a Beats by Dre, but the sound is way better than the headphones that come with your phone). My 3 year old daughter thinks I look like a robot when I put them on and calls me “Daddy Robot” which is definitely a cute side benefit! I came across this online tool when I got tired of looking at calendars and physically counting the days to upcoming events and benchmarks. This thing is super easy to use and very accurate. It will give you days, weeks, months, hours, minutes, and seconds on any date you enter – past or future. It’s a pretty cool time saver for me (I’m sure there are apps that do this too, but I’m too lazy to find them, this tool is just bookmarked and easy to access). What can I say about StarCraft except that is easily one of the best real time strategy games of my generation. The original game came out in the early 90s and had been played frequently and consistently in the E-Sports arena up into the release of StarCraft II: Wings of Liberty. With all this hoopla with Electronic Arts and their Battlefront II debacle, the folks at Blizzard decided to release the first installment of StarCraft II for free! This is an awesome (yet short) campaign and game! I can’t recommend it enough! The replay value is enormous and the story changes based on actions you take during the campaign. If you are into any type of real time strategy, I recommend getting this game! What can you lose – it’s Free! I’m a big fan of M&Ms – any chocolate really, but I’m a HUGE fan of white chocolate. And while perusing my local Wal-Mart I found the holy grail of all candies (well at least to me). It combined two of my favorite things… white chocolate and the melt-in-your-mouth not in your hand form factor. These things are delicious! If you are a white chocolate fan like myself, I definitely recommend snagging one of these bags if you see them at a grocery store! Newsflash! They discovered aliens within a secret chamber of the Great Pyramid of Giza also known as the Pyramid of Khufu. Just checking to see if you were reading… they didn’t find any ancient aliens – or at least there’s a huge cover up, but they did find an empty chamber. They found the chamber by using some really cool cosmic science (sounds more science fiction), but basically they found the empty chamber by observing cosmic-ray muons – using some pretty fancy machines. All in all pretty neat discovery, who knows what can be lurking inside that chamber… my bet… a whole lot of nothing… but I’ve been wrong on predictions before… a lot wrong. I recently upgraded my portable bluetooth speaker (the Canz Bluetooth Audio Speaker by 808 Audio) to the Anker soundCore 2… and boy am I glad I upgraded. My church asked me to sort of play “D.J.” for our “Treasures from the Trunk” event (basically a Bible themed Halloween event) and there about 75 – 100 people that were attending and the little Canz wasn’t going to cut it. I bought the Anker SoundCore 2 the week of the event and it worked amazingly. The unit packs a big bite for such a small speaker, has great bass for it’s size and mid-tones are pretty smooth. It’s also IPX5 water resistant and has a pretty great range. I can’t recommend it enough. I stumbled upon GOG.com – it was formerly known as Good Old Games – when I was searching for some old games from my childhood. I was specifically looking for an old turn based game called Sid Meir’s Alpha Centauri. This gaming client particular specializes in older games and is much like Steam or Origin where you purchase PC games digitally and can download them from the Client. The older Dos games that GOG sells already come pre-configured to run off of DOS box and basically once you install the game, you are good to go. Just click on the icon and start playing. You could probably get these games for free, but GOG.com made it so easy and affordable. I paid $5.99 for the Alpha Centauri game and expansion. If you are into retro computer games, I highly recommend visiting this site, maybe you can find one from your long lost childhood. Well there you have it! Five interesting things I found and wanted to share this week! Have you ever sworn up and down or had an argument with a friend about a misheard lyric or a quote that maybe was recited, but was off a bit. Well imagine that, but on a grander scale. The Mandela Effect is a collective mis-remembering of things in the past. There is a crazy conspiracy side to this, where some people think that there are multiple universes and we seem to fade in and out of them… but the fact remains that we remember stuff that actually didn’t exist. All of my life I remember the hotdog company being “Oscar Meyer” when in fact it’s “Oscar Mayer”. I’m definitely not alone in this. Read about more examples of the Mandela Effect here. Tesla’s leading the charge with Solar Energy and making it not only practical, but stylish. The new solar tile technology is way stronger than traditional roof tiling and has a warranty of 30 years! I hope new housing developments will start using this type of roofing for all of their projects. It’s important that we start using renewable energy resources, not only because of environmental factors, but economic reasons as well. Solar Power and Batteries will only continue to get more efficient and cheaper and I think that’s a great thing. Find out more about the Solar Roof Technology here. The occupation of Ukraine by Russia and Pro separatist forces – primarily in the Donboss region was definitely a SHTF (Stuff Hits The Fan). 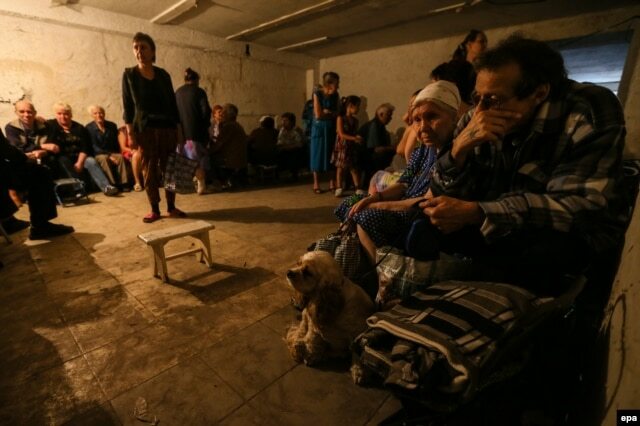 There are a lot of lessons learned from the survivor’s accounts during the occupation. There are 3 parts to the series of letters and the more I read them the more intrigued I get. You can read more here. You get a sense of what it’s like to live through a troubling, yet not too fantastical situation. (I mean we have North Korea, Terrorists, both Domestic and Foreign to contend with). This will help you get mentally prepared for any disaster or conflict that may arise. If you love B movies, especially B horror movies as much as I do, this gem of a movie won’t disappoint. Shot in a POV (blair witch-esque) documentary style, this movie is about a group of students in Norway set out to create a documentary about a suspected bear poacher. Little do they know that a dark world exists full of fantastical trolls that are both dangerous and deceptive. This film actually inspires me to visit Norway as several beautiful scenes are full of vast landscapes of an old country that seems to be straight out of a fantasy novel. It’s also pretty darn funny! I give it a 5 out of 5 stars. If you have an Amazon Prime subscription – which I definitely recommend getting – there’s a benefit that’s been out for a while that I just recently (maybe in the past month) learned about. Not only does Amazon Prime provide a great video streaming service, image storage system (which is unlimited), and 2 day shipping, but also a fantastic streaming music feature called Amazon Prime Music. This is like Spotify without the ads (or the paid version of Spotify), but it’s included with your Prime subscription. You can curate play lists that will sync with your phone app, but also download the music to listen to offline – great for if you want to save data or are in a spotty area. Now the collection isn’t entirely complete (meaning you can’t get every single track that’s out there, for some reason Disney tracks aren’t included), but they have everything from popular top 50 music to eclectic radio genres. If you haven’t checked them out, do so, you won’t regret it!